It might not be warm enough to enjoy your garden patio just yet, but that doesn’t mean we haven’t already started thinking about ways to take our lovely outdoor space to the next level when spring finally arrives! 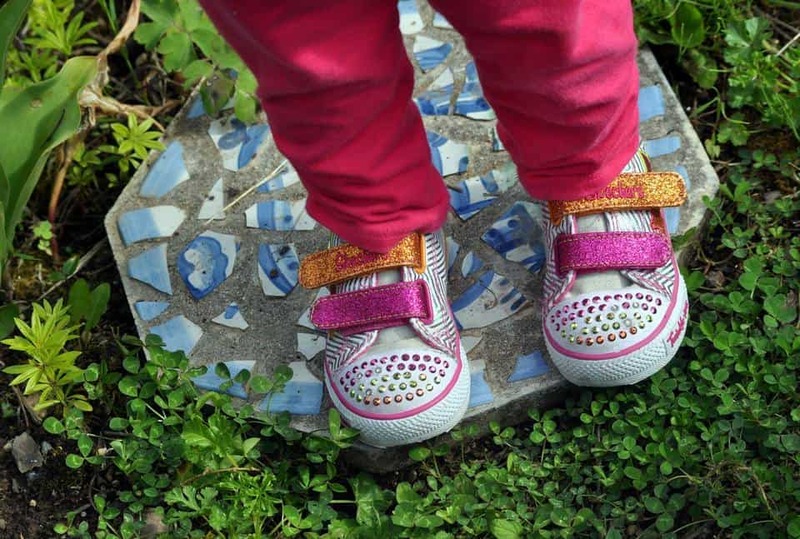 This year, we’ve been thinking a lot about different ways to make our very own garden stepping stones but we wanted to make sure we did a thorough search of different techniques and ideas before getting started to really make sure we create stones we love! 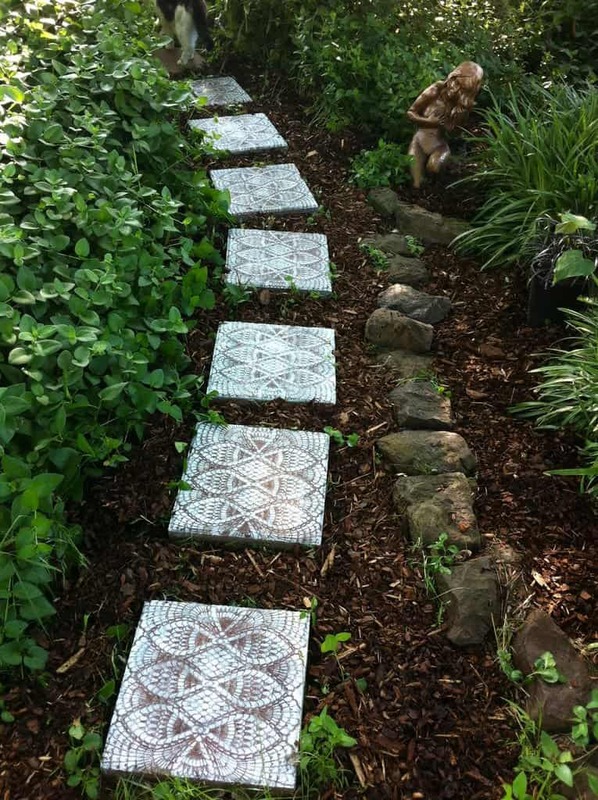 Just in case you’re as in love with the idea of making a set of DIY garden stepping stones as we are, if not more, here are 15 of the best ideas, designs, and tutorials that we’ve come across so far in our search for information and inspiration. 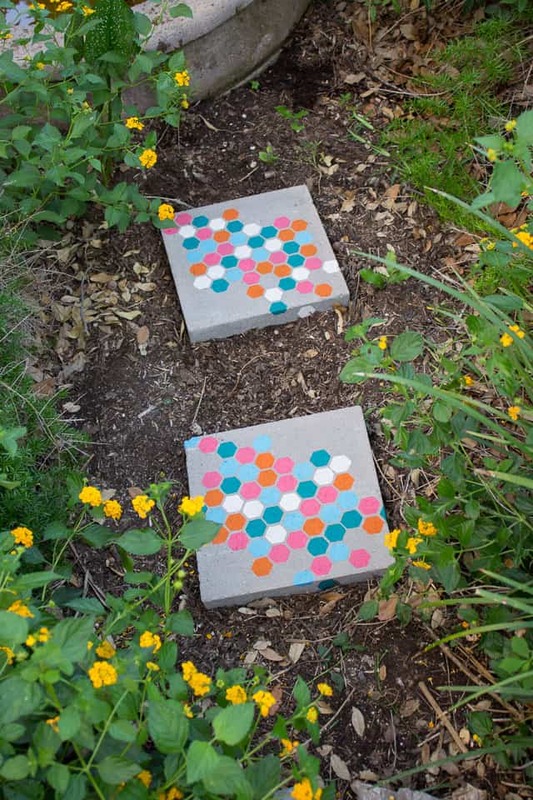 Have you actually already bought (or perhaps even made) the kind of square stepping stone that has an awesomely smooth surface but now you can’t help wondering whether you might make the top look a little more bright and fun? Well, that’s exactly what Design Improvised did here with their multi-coloured stencilled honeycomb pattern. Are you actually quite intent on making your very own stepping stones from scratch but you want to make sure they’re not too plain looking? Then we’d definitely suggest taking a look at how Nancy Mizelle made these fantastically simple stones using DIY cement! We like the way they kept things natural rather than adding lots of colour but still added texture and visual appeal by imprinting a patterned doormat into the top when the stones were still wet. Perhaps you’re actually very invested indeed in the beauty of your own home and you’re convinced that something challenging and intricate is the best idea for you? 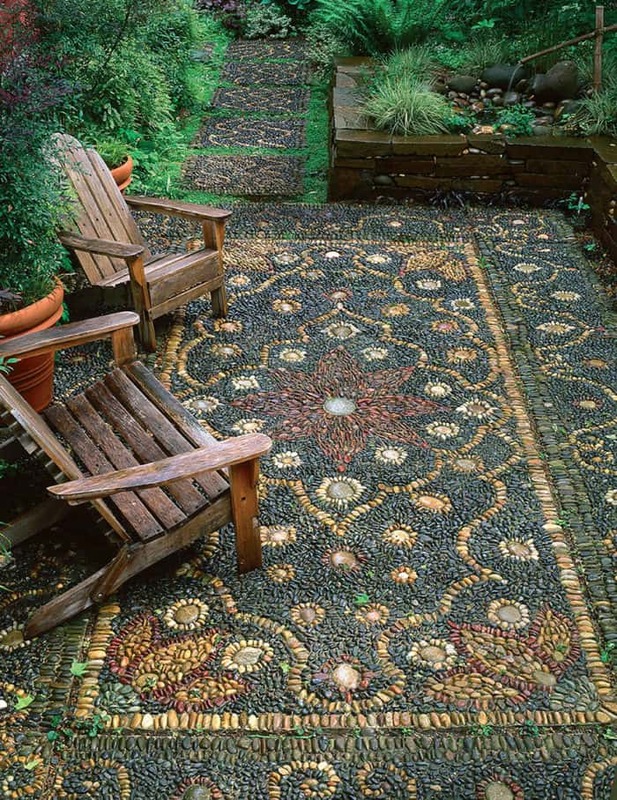 In that case, we think you simply must take a look at the way Fine Gardening made not only smaller stepping stones but an entire patio out of differently coloured pebbles using mosaic techniques! We love their flowing lines and floral inspired patterns but you could create any sort of aesthetic you please. Did you actually really enjoy the idea of making pattern imprinted stepping stones from scratch because you love the indented texture effect but you’re just not sure that you have as pare floor mat with negative space lying around that will quite work the way we showed you above? In that case, we’d definitely suggest taking a look at the way Rosy Scription did something similar using the plastic lid of a takeaway container to mould their shapes and ridges instead! Maybe you’re actually still thinking about how much you loved the mosaic effect in the tutorial we showed you a little earlier on our list but you’re just not sure you want to make it happen with quite so many rocks involved? Maybe you’d actually just prefer to add a little more colour to the pieces you’re creating. In either case, we have a feeling you might get along very well indeed with this concept from The Spruce Crafts that involves embedding broken pieces of pottery into DIY concrete to make a pattern! Are you actually still a big fan of the idea of making a natural looking stepping stone set but you’d still prefer to have some kind of detail involved, you’re just looking to skip the colours? 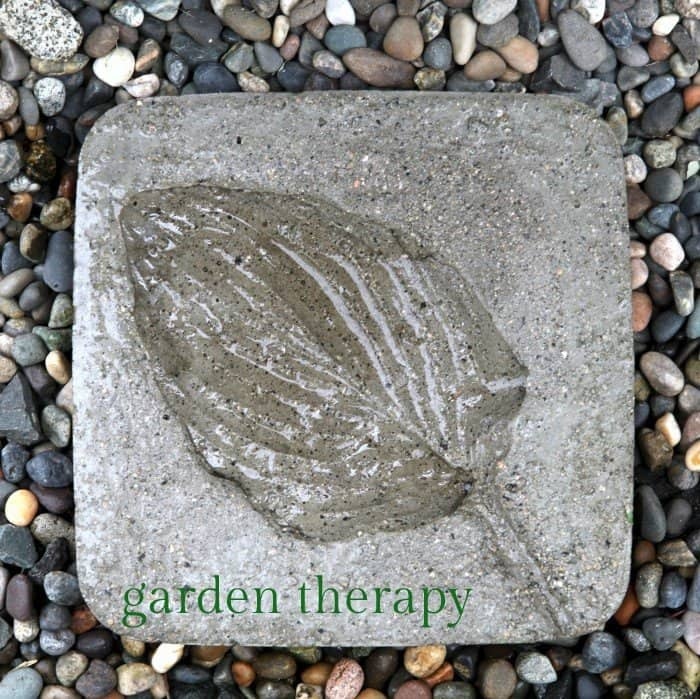 In that case, we’d absolutely suggest taking a look at the way Garden Therapy made this lovely looking DIY concrete stone with the natural, lovely shapes and lines of an actual leave impressed carefully into the top. Are you actually scrolling through our list and finding yourself still thinking about how much you enjoyed the mosaic inspired designs we showed you earlier, but you’re just not sure you’ve seen one with quite the look you’re hoping for? 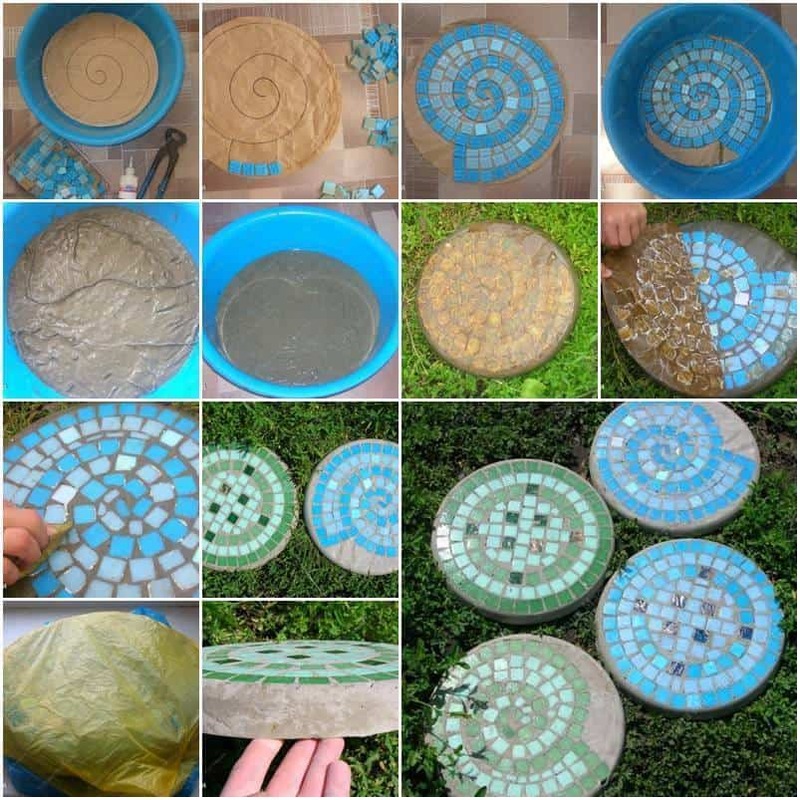 Then maybe this tutorial from iCreative Ideas that shows you how to make stepping stones from DIY concrete and differently coloured or finished bathroom tiles will be a little more up your alley. We love the creative control this idea affords you! 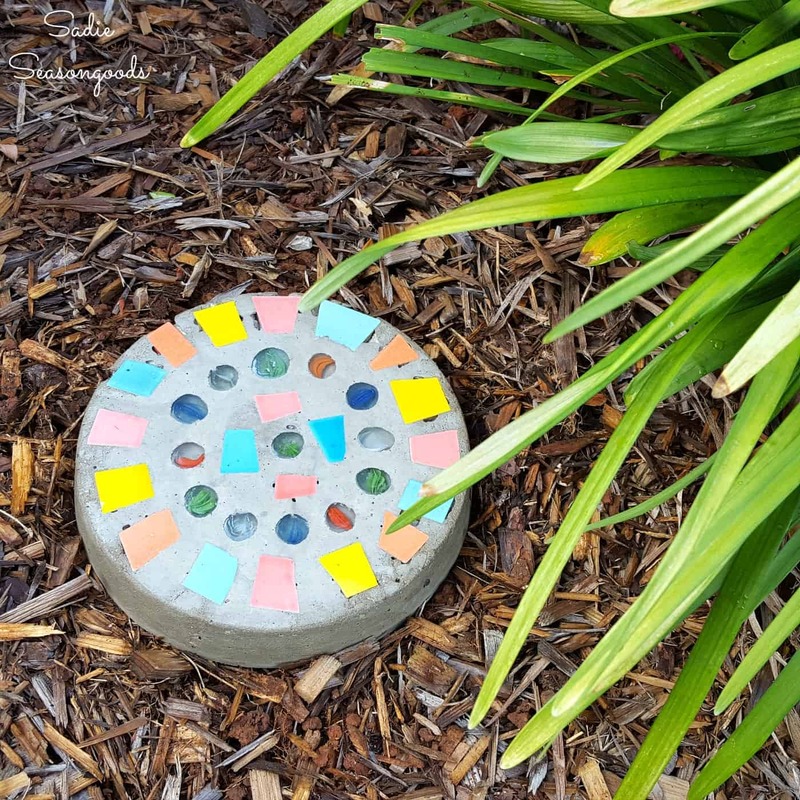 Are you quite a big fan of the idea of embedding colourful little pieces into DIY concrete the way you’ve seen a few times now but you’re looking for a more affordable alternative so you can get your kids involved in the project too, without spending lots of money? In that case, we’d absolutely suggest taking a look at how Pink and Green Mama made all kinds of shapes and colourful patterns happen using colourful glass marbles like the kind you might find in your local crafting or dollar store! Did we actually really catch your attention when we started talking about stepping stones that involve the shapes and intricacies of leaves but you’re convinced there might be a way to make something even more impressively intricate looking then what we showed you with the imprint idea? 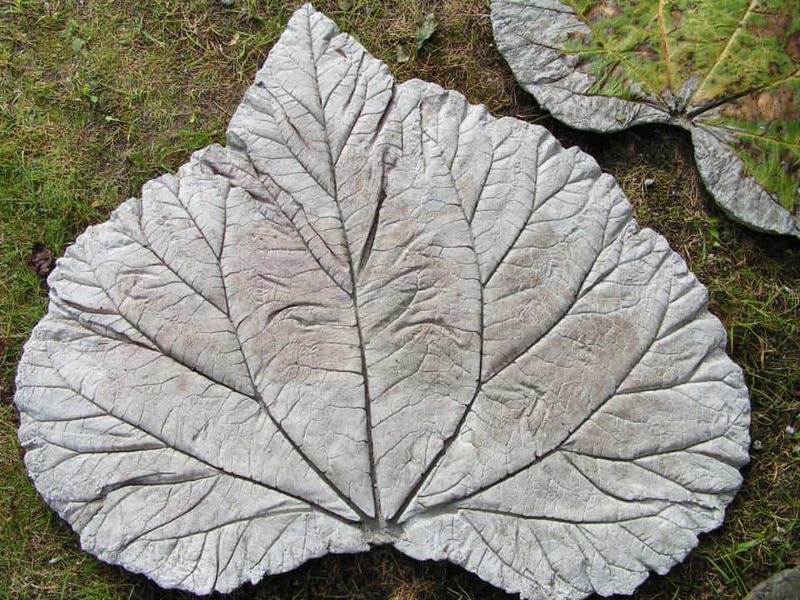 Then we think you simply must take a look at how Alternative Gardening created stones that are not only impressed like a large leaf (a rhubarb leaf, to be exact), but also sized and shaped like one too! 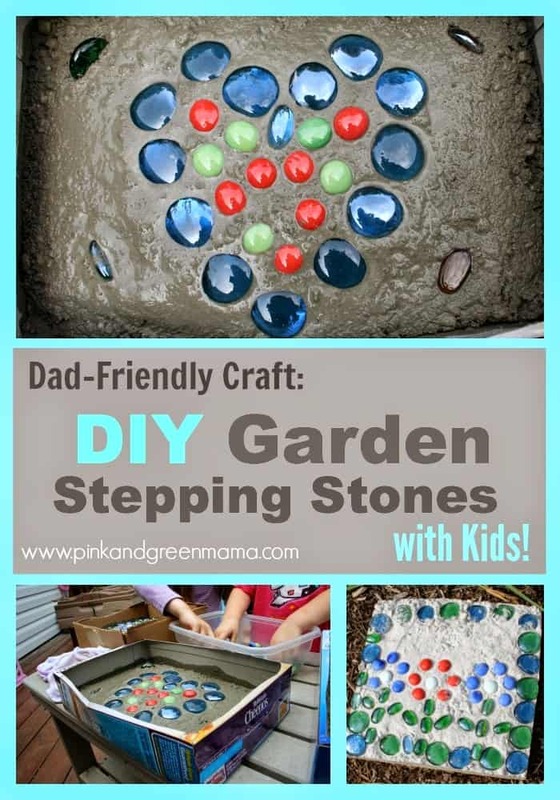 Just in case you’re still thinking about different ways to get your kids involved in making homemade concrete stepping stones with you, here’s an idea that’s even more hands-on than the technique we showed you earlier on our list! 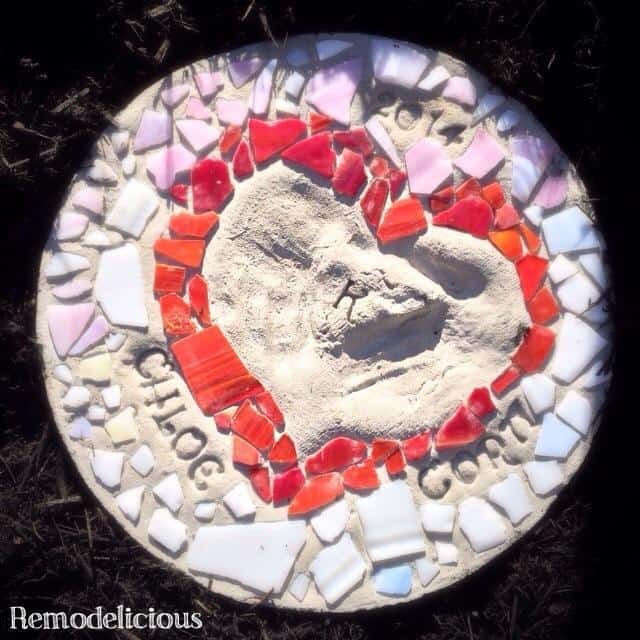 Take a look at this tutorial from Remodelicious to see how they included handprints, impressed lettering, and some broken pottery for good colour. 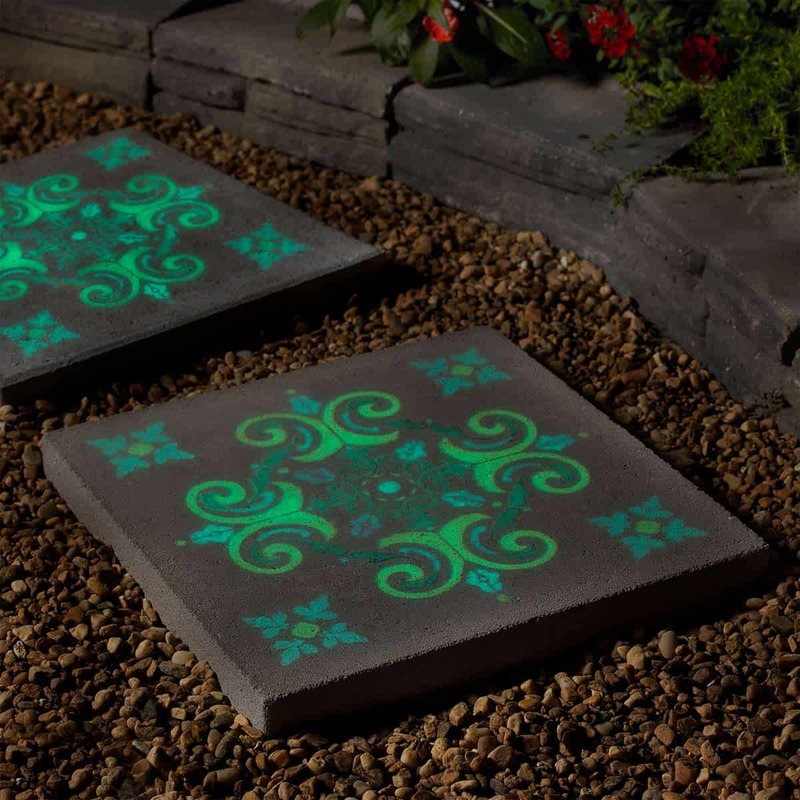 What if we said that there’s a way you might also make your stepping stones look awesome at night too, eve after the sun has gone down and the details have seemingly faded into darkness? Well, that’s exactly what DIY Cozy World is here to teach you how to do using glow in the dark grout as part of your mixture. They chose to put theirs between square tiles so the stones glow like grids! Just because you’re making something hardy that will bear some natural weathering outside in the elements doesn’t have to mean that you can’t make it delicate and pretty as well. In fact, Instructables has an entire tutorial that teaches you step by step how to make stepping stones that are lace inspired and feature all the delicate lines and swoops of a lovely lace doily. 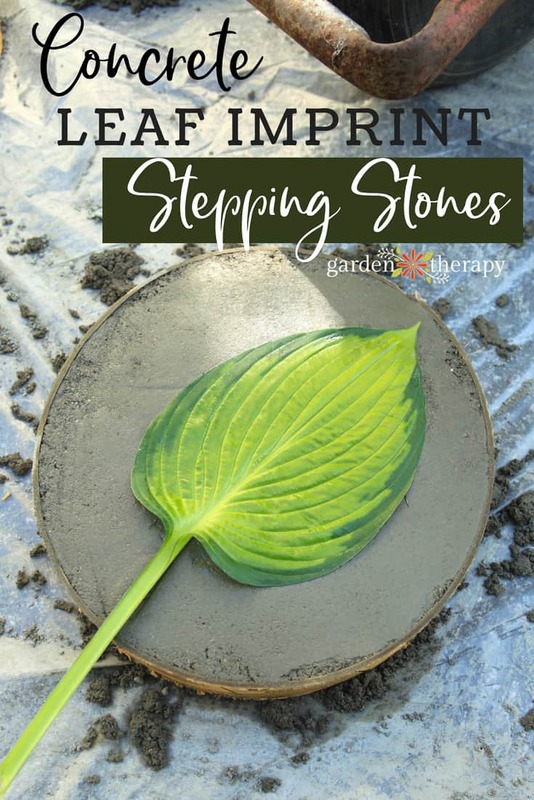 Are you actually still thinking about how much you liked the idea of a leaf print stepping stone piece but you’re interested in making a more natural look in terms of the base rather than the imprint itself? Then maybe you’d rather make a slightly more granulated mixture than the completely smooth DIY concrete you’ve been seeing so far? In that case, we think you might get along a little better with this tutorial from Garden Therapy. 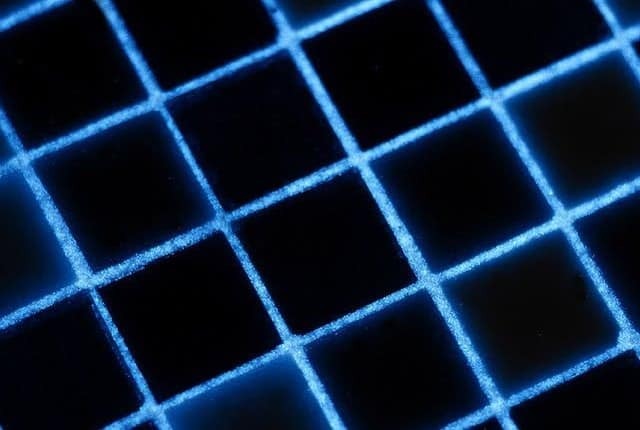 Have you actually been thinking a lot about how much you liked the glow in the dark concept we showed you earlier but you can’t help wishing that the actual pattern itself was what glowed, rather than just the spaces in between? In that case, we think you’ll have a total blast making this fantastic stone from Plaid Online that features a fun hand stencilled pattern on the surface made in glow in the dark paint. Do you come from the kind of family that has always kept a secret key outside just in case someone gets locked out of the house, but you’re a little bit paranoid and you need somewhere very discreet indeed to put it? 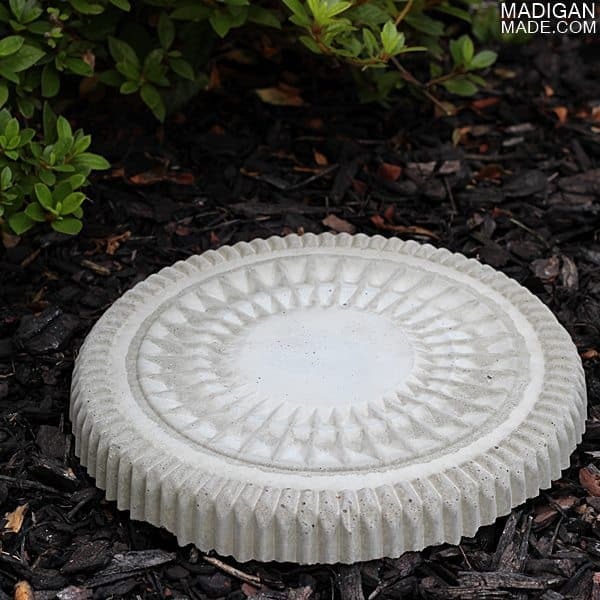 In that case, we think you’ll have a fantastic time making this stepping stone from Sadie Seasongoods that actually has a little compartment built into the bottom that’s meant to hide a key right down in the ground. 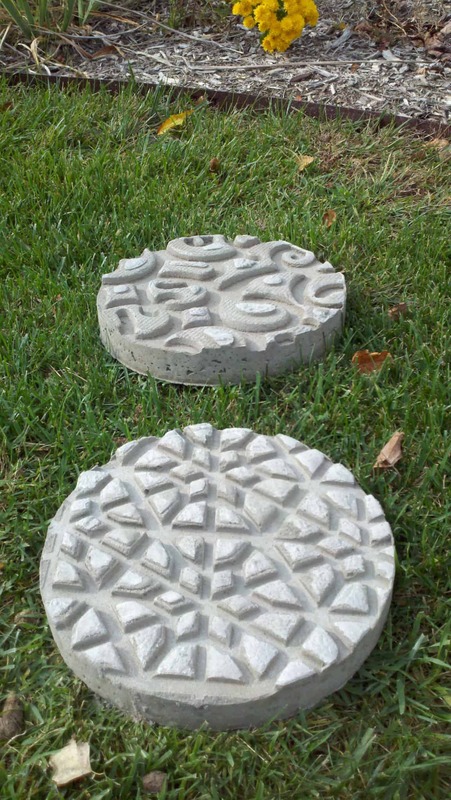 Do you know a fellow DIY enthusiast of craft lover who has been thinking about making their own stepping stones for their garden but can’t decide on a design or could use some guidance when it comes to method? Share this post with them to give them all kinds if inspiration and important info!